Drs. Rupporn Priyawat and Maria Kim are great friends both at work and outside of the work. 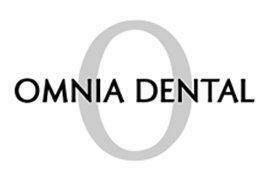 They are proud to serve patients at Omnia Dental Care in Chino Hills, California. Drs. Priyawat and Kim share the same philosophies when it comes to dentistry. Perhaps their similar courses of dental training and experiences or perhaps their similar personalities allow them to share these philosophies. Both Drs. received their DDS at Loma Linda University. After which, they met working in the same practice. It was at this office, where they met that made them realized their similarities and when their partnership really began. Furthermore, they worked together at another practice, still sharing their values and ethics. While working together, both Drs. received extensive training in implant dentistry with Nobel, Hiossen, and many more. They are also both trained in Progressive Orthodontics and are Invisalign certified. Among the many certifications that both Drs. have, due to their desire to provide a full scope of dentistry, they have received training in Botox and conscious sedation. When it comes to their philosophies, they both believe that patient care is an utmost priority. They enjoy the utilization of new and innovative methods/technology to sincerely take care of their patients and their individual needs. With the passion to serve their patients, compassion and patient comfort are undoubtedly at the top of their list. Due to their gentle nature in taking care of their patients, they often find their patients asleep while getting dental treatment or hearing compliments from their patient that they didn’t feel a thing! But among many, the biggest compliment they get is when they see the difference in their patient’s smile from their initial visit versus their return visits. Patients come into the office hiding their smiles but later return with a big and beautiful smile. 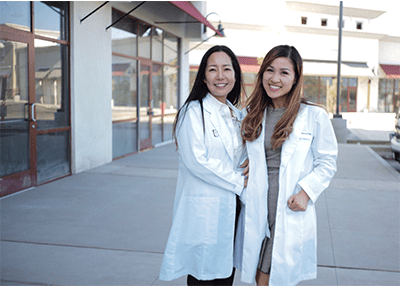 Outside of dentistry, they enjoy each other’s company with talks of traveling the world, sports activities and everything that has to do with food.